Power is effectively transferred through the use of the slipper clutch as to not overload the drive train. New shocks offers better handling on rougher terrains. Symmetrically designed as to transfer weight proportionally, keeping the wheels on the ground and the speed to the max. All new 4-wheel double-wishbone suspension offers greater adjustment for users. 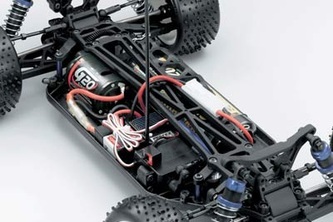 The layout of the chassis offers either the use of a battery pack, or loose cells. Designed so that the user can either install a standard ball or one-way differential, or a spool set up. This offers many customisable settings for the drivers preference. 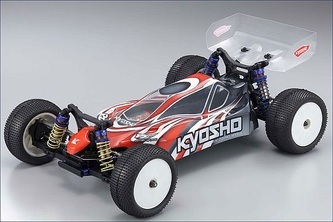 Comes with rear sway bar. Better for more seasoned off-road racers, as adjust ability will be confusing for first time users. The buggy is prone to small breakages here and there, so the wear and tear factor is not as great as other buggies. Requires thick oil, rather than the light oil that comes with it. 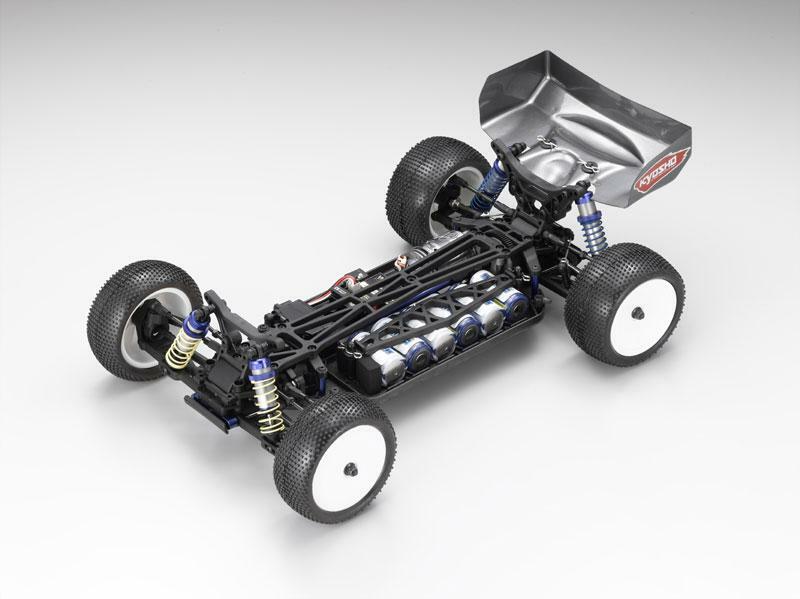 It's a great 4WD buggy, and has many new improvements to keep up-to-date with industry competitiveness. Not recommended for first time buyers.